Over the last year, I have been thinking a bit more about the different functions of the federal government. As cabinet appointments were being made last year, I realized that I didn’t know much about what the different cabinet-level officials areas of responsibility. I vaguely remember learning about them in a civics course in high school, a class that I approached with a memorize-what-you-have-to mindset which pretty much always results in such facts falling from my head as soon as it’s safe. 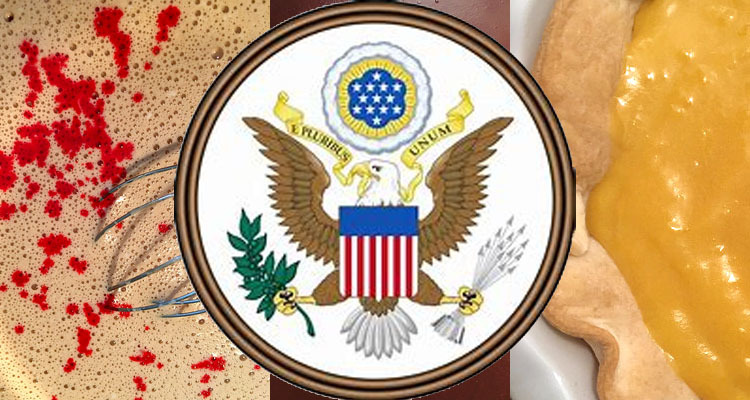 I decided that I would take a moment to learn a bit more about the US government’s executive branch and that I would interpret each of the president’s cabinet members as a cream pie. What can I say? I’m a sucker for alliteration. For some basics, cabinet members are selected by the president with the senate approval. The role of the cabinet is to help the president to perform his responsibilities as the nation’s chief executive. Cabinet appointments are for the duration of the president’s term, however, a president may dismiss a cabinet member at his pleasure without the approval the Senate. President Trump’s cabinet consists of Vice President Mike Pence, the Attorney General, Heads of the executive branch’s fifteen departments, the White House Chief of Staff and the heads of the Environmental Protection Agency, Office of Management and Budget, United States Trade Representative, United States Mission to the United Nations, Council of Economic Advisors and Small Business Administration. That’s a lot of cream pie! And I’m ready to dive in. This entry was posted in Cabinet Cream Pies. Bookmark the permalink.